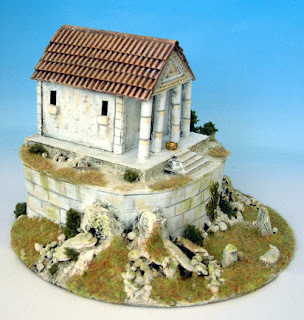 Small temple, again for 15mm DBA. 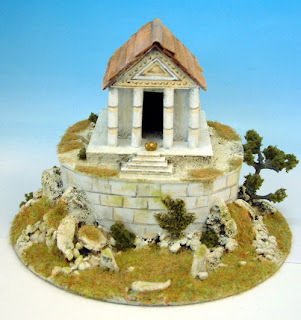 Based on free CD with coffee jar lid for the temple to stand on. Roof of the temple from ribbed paper from G. F. Smith (color flute range) Great for tilled roofs.